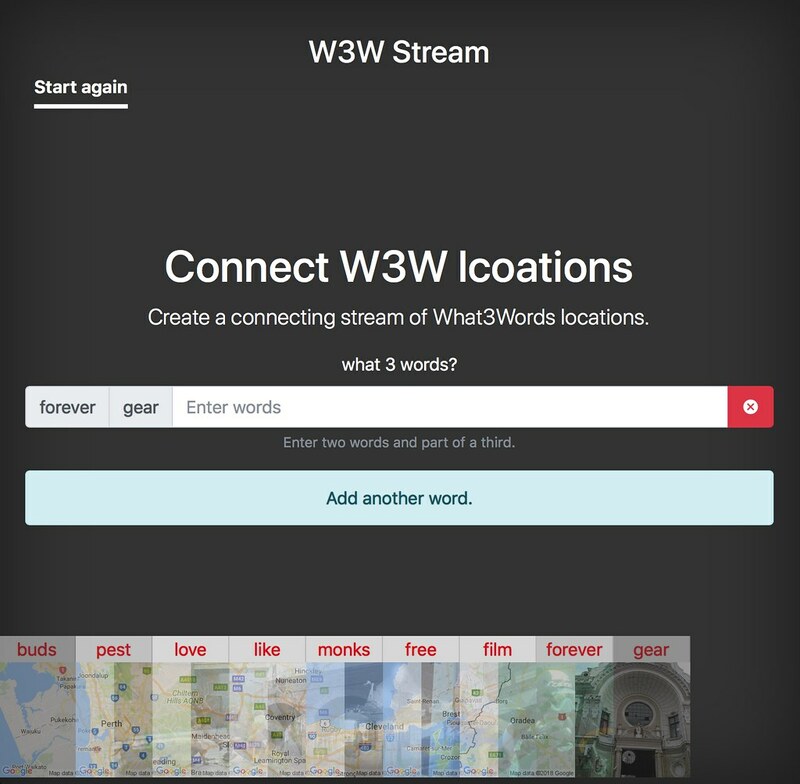 What3Words recently opened up its API. 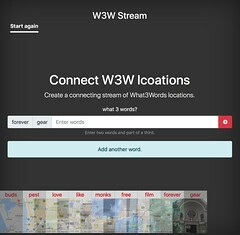 I threw together a little game that allows you to create streams of locations, with pictures, connected by two of the three words that make up a What3Words address. Related: What time is it? Next: Next post: What time is it?